Students and professionals at the recent Seeds of Success workshop at Ponce Health Sciences University. "For the last ten years the CienciaPR network has established itself as an unparalleled resource, connecting the public and students with Hispanic scientists and increasing access to culturally relevant STEM educational and informational resources among traditionally underserved communities," said Dr. Giovanna Guerrero-Medina, Executive Director of CienciaPR. "We are proud that Yale supports this project and that CienciaPR has been selected for this recognition," she added. CienciaPR is part of the Yale Ciencia Initiative, an effort of the Yale Center for Teaching and Learning to expand access to scientific knowledge, experiences, and careers among communities or populations traditionally underrepresented in, or underserved by, the scientific enterprise. One of the Yale Ciencia Initiative projects highlighted in the nomination is “The Voice of Experience”, a STEM careers exploration resource, narrated by Latino STEM professionals, a collaboration with the Yale Center for Clinical Investigation and the NCATS-funded Yale Clinical and Translational Sciences Award. As a Bright Spot, CienciaPR will be part of a national catalog (www.ed.gov/hispanicinitiative) of over 230 programs whose work focuses on key education priorities for Hispanics set by the White House. The award was announced on September 15, 2015 by Alejandra Ceja, executive director of the Initiative on Educational Excellence for Hispanics, as part of the kick-off for Hispanic Heritage Month and in honor of the 25th anniversary of the Initiative. “There has been notable progress in Hispanic educational achievement, and it is due to the efforts of these Bright Spots in Hispanic Education, programs and organizations working throughout the country to help Hispanic students reach their full potential," said Ceja. The White House Initiative on Educational Excellence for Hispanics, established in 1990 to address educational disparities facing the Hispanic community, seeks to leverage these Bright Spots to encourage collaboration between stakeholders focused on similar issues in sharing data-driven approaches, promising practices, peer advice, and effective partnerships, ultimately resulting in increased support for the educational attainment of the Hispanic community, from cradle-to-career. CienciaPR is part of the Yale Ciencia Initiative, an effort of the Yale Center for Teaching and Learning to expand access to scientific knowledge, experiences, and careers among communities or populations traditionally underrepresented in, or underserved by, the scientific enterprise. Research and scholarship in the development and study of interventions that utilize science networks to enhance the engagement and participation of people from diverse backgrounds in science. Collaborations with faculty and programs within Yale to increase recruitment and retention of underrepresented groups in science and to enhance outreach to Latino communities. Translation of the CienciaPR model to other countries and communities and provide a home for the sharing of best practices in the development and implementation of culturally relevant science education and science networking efforts. CienciaPR is a nonprofit organization that connects over 7,000 Puerto Ricans and Hispanic scientists, students and educators worldwide through an innovative online platform. By leveraging its community’s collective knowledge, the organization has created thousands of resources to improve science education and help forge the next generation Hispanic STEM leaders. CienciaPR.org is the most popular science and science jobs website in Puerto Rico, with over 25,000 visits per month. In the past nine years, through partnerships with media outlets such as El Nuevo Día (the largest circulation Spanish-language newspaper in Puerto Rico and the U.S. and Diálogo (the newspaper of the University of Puerto Rico), CienciaPR has published 548 popular science articles, written by Hispanic scientists, for a Hispanic audience. In 2011, CienciaPR published ¡Ciencia Boricua!, the first anthology of popular essays about science and Puerto Rico. In 2014, CienciaPR launched the first series of educational videos (www.cienciapr.org/videos) that highlight the role of science and Puerto Rican scientists in space exploration. 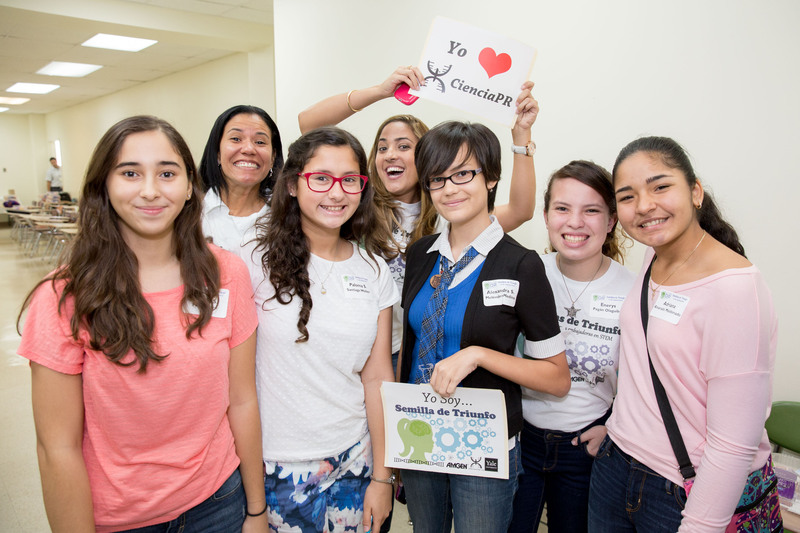 In 2015, Yale and CienciaPR launched the Semillas de Triunfo (Seeds of Success) Program, the first program in Puerto Rico to provide middle school girls the opportunity to learn about careers in STEM and explore how through these disciplines can become leaders and agents of change in their communities. Through its website, CienciaPR provides information on jobs, fellowships, internships, conferences and other development opportunities for students and professionals in science and engineering. Since 2011, the organization has created a series of symposia, virtual discussions and workshops to promote the professional success of the next generation of Hispanic scientists. In 2014, CienciaPR was recognized as a model for promoting the participation of Hispanics and other groups traditionally underrepresented in science careers, through the establishment of the Yale Science Initiative, in collaboration with Yale University. For the past decade CienciaPR has provided a platform for the Puerto Rican scientific diaspora to contribute to the advancement of science in Puerto Rico.